My husband gave up everything for me. I’m not a beautiful woman. 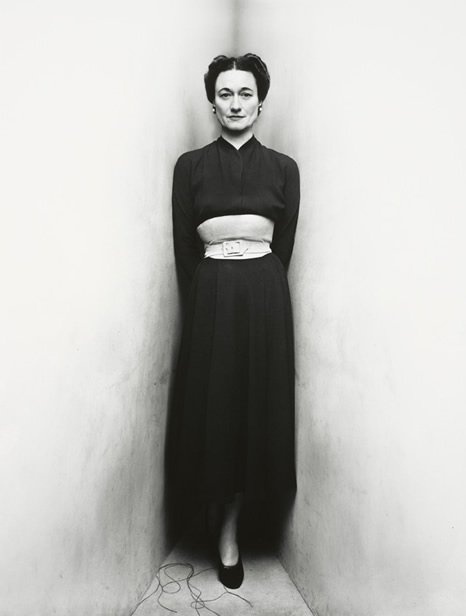 I’m nothing to look at, so the only thing I can do is dress better than anyone else.
. Duchess of Windsor, by Irving Penn; this corner was a Penn trademark. On December 11, 1936, the King of England addressed his people: “You must believe me when I tell you that I have found it impossible to carry the heavy burden of responsibility and to discharge my duties as King as I would wish to do without the help and support of the woman I love. ”Edward’s words, solemn and delivered with obvious emotion, crackled out over the wireless in homes across the kingdom. The fledgling ruler—so new, he had not yet been crowned—had renounced his throne, all in the name of love. Across the globe, presses blazed with speculation about this very grand-scale—and, to many, quite puzzling—love story. The burning question on everyone’s lips: Who exactly was this “Wally” and what powers of mesmerization did she possess? Bessie Wallis was a headstrong, violet-eyed child with sausage curls and a love of the pretty dresses sewn by her mother, the down-on-her-luck daughter of an old Virginia family. Swanning out in a satin-and-seed-pearl copy of a dress worn by the dancer Irene Castle, she made her society debut in Baltimore in 1914 as the all-grown-up “Wallis” (Bessie, she had decided, was a name for cows). Two years later, she was married to a dashing, alcoholic pilot named Earl Winfield Spencer, Jr., and living as a Navy wife in Pensacola, Florida. That turbulent marriage ended in divorce in 1928. Divorce, of course, was still shocking in those years, a transgression that would stain a woman’s reputation ever after. But Wallis found a safe have, and stability, in her second husband, Ernest Simpson, an Anglo-American ship broker. The society decorator Syrie Maugham lent her flair to the Simpsons’ home in London and soon, their chic flat was overflowing with the cream of 1930s café society. 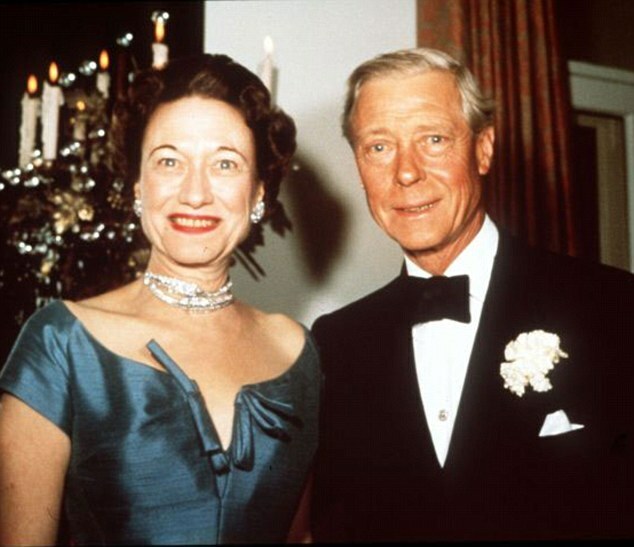 Among the socialites and aristocrats who turned up for Wallis’s inventive cocktail fare—“[Her] hot dishes are famous,” noted Vogue—were the interior designer Elsie de Wolfe and Lady Thelma Furness, who introduced the witty, wisecracking Wallis (young Bessie had picked up some colorful language from a barman’s parrot) to Edward, the Prince of Wales. 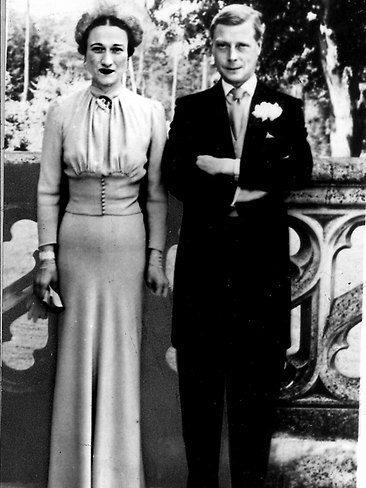 The golden bachelor prince was a royal pin-up, a spinster’s dream from Mayfair to Milwaukee. As Vogue declared, he was “one of those people who really have glamour. 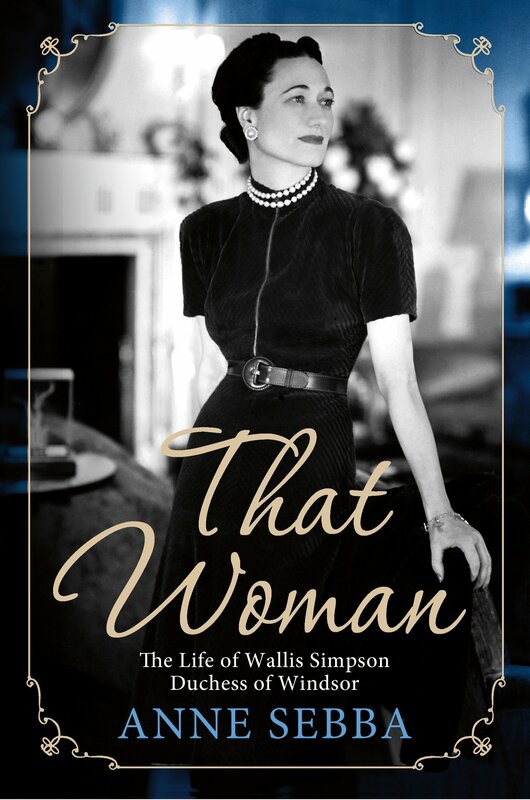 ”Wallis would later record his impact on her life: “He was the open sesame to a new and glittering world. Yachts materialized; the best suites in the finest hotels were flung open; aeroplanes stood waiting. . . . It was like being Wallis in Wonderland. ”In her, Edward had found a woman as bold as the big Glenurquarhart plaids he so adored: “From the first, I looked upon her as the most independent woman I had ever met, ”he later recalled. Three years into this acquaintance, the pair embarked on a passionate adulterous affair, which Wallis privately acknowledged in a letter to her aunt Bessie Merryman: “It requires great tact to manage both men,” she wrote. “I shall try to keep them both. ”David, as Edward was known to family and friends, would deliver his Wallis a lifetime of love notes via a most spectacular vehicle: jewelry. The Baltimore belle would one day have enough sapphires and rubies to rival a maharaja, her treasure chest stuffed with Verdura, Van Cleef & Arpels, and Cartier. In 1936, photographs of the king and his latest mistress together on his yacht emerged. Wallis was granted a divorce from her husband, and after a waiting period of six months, was free to marry again. Wallis reportedly tried to dissuade Edward from renouncing his birthright—but to no avail. On a bright spring day—shortly before she was to marry her David—Wallis posed for a series of portraits at the Château de Candé in the Loire Valley. 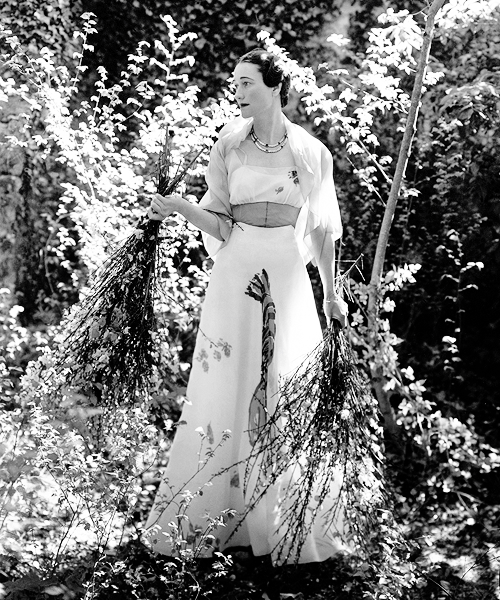 Cecil Beaton, the society figure and Vogue photographer, captured the handsome brunette in a thicket, sunlight dappling her Schiaparelli waltz dress of floaty white organdy. But what captures the eye is not so much the face of the not-so-blushing bride but something unusual on the front of her frock: not ribbons or an orange-blossom print, but a fat red lobster, and a sprinkling of green parsley to taste—courtesy of Salvador Dalí. No members of the royal family were present for the small wedding ceremony; the union would cause a lifelong rift. 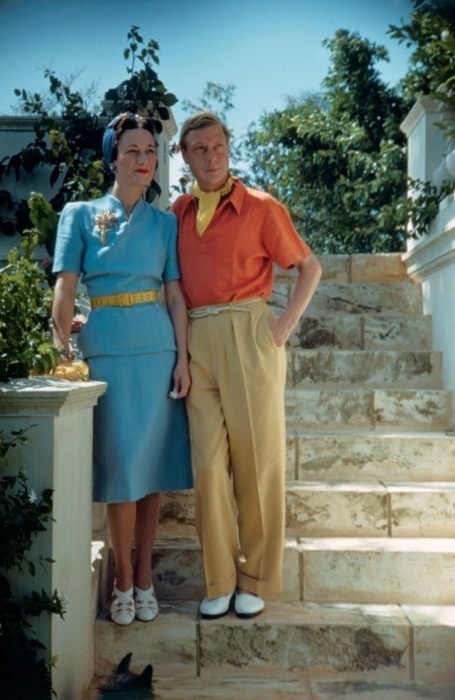 Afterward, Beaton snapped the happy couple on the château balcony, Wallis in a Mainbocher crepe dress of soft gray-blue—hereafter known as “Wallis blue”—the bodice recalling “the fluted lines of a Chinese statue of an early century,” according to Vogue. A Cartier bracelet of nine gem-set crosses, each inscribed with a message in the duke’s handwriting, circled her slender wrist. “God Save the King for Wallis, 16.VII.36, ” (It refers to the apparent assassination attempt on the king on 16th July 1936, in which an Irishman calling himself George Andrew McMahon pulled a loaded revolver on the monarch, who was riding on horseback near Buckingham Palace) read one. 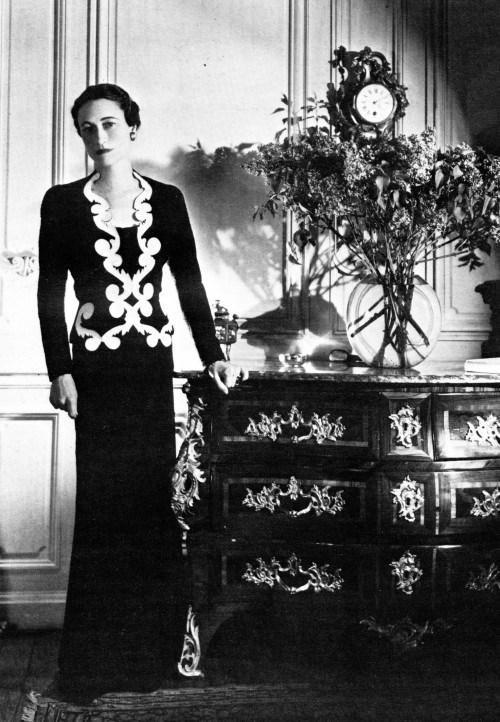 Wallis Simpson dressed in Mainbocher for Her Marriage to Prince Edward, Duke of Windsor, June 3, 1937. 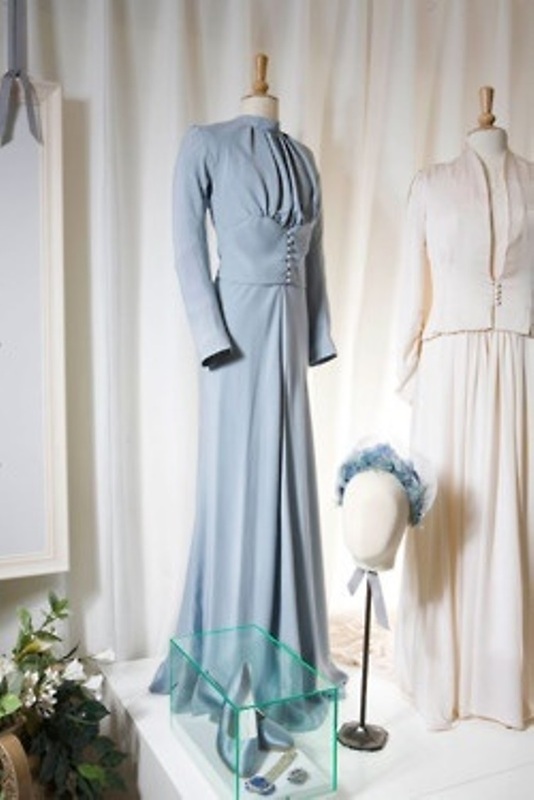 The crepe dress of soft gray-blue, hereafter known as “Wallis blue”. 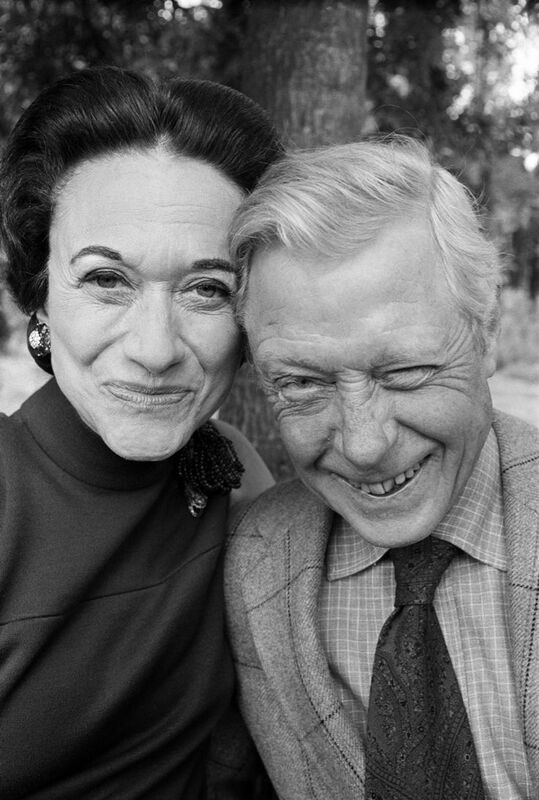 “And so the Duke and Duchess of Windsor went off together into that tarnished sunset of exiled royalty,” Time would later reflect. Though the duchess was denied the title of Royal Highness—a persistent thorn in her side—the Windsors soon became “the international jet-set’s de facto king and queen,” as Vanity Fair later put it. In the fifties and sixties, an invitation to dine at the Windsor Villa on Paris’s Bois de Boulogne was “like a gift from God, ” recalled one insider. Inside the stately Louis XVI-style edifice lingered the heady perfume of incense and orchids. From the Steinway came the duke’s favorites: “Mr. 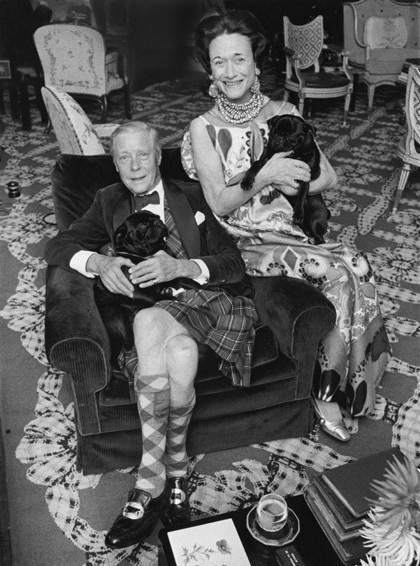 Wonderful” and “Love and Marriage.” Obedient in mink collars and gold Cartier leashes, Gin-seng and Black Diamond, the couple’s precious pugs, greeted guests in a cloud of Dior perfume. Crisp tablecloths (the ever-immaculate duchess was fanatic about ironing, even insisting her money be pressed), were laid with the Windsors’ Meissen Flying Tiger plates, and piled high with caviar. Dinner was followed by a game of cards; guests might even be treated to a Hula-Hoop performance by their dapper hosts. Whether playing baccarat in Monte Carlo or sipping bellinis at Harry’s Bar in Venice, the Windsors were the toast of the town. On New Year’s Eve at El Morocco in New York—where they kept a suite at the Waldorf Towers—the duke and duchess were “crowned” at last . . . with makeshift paper hats. 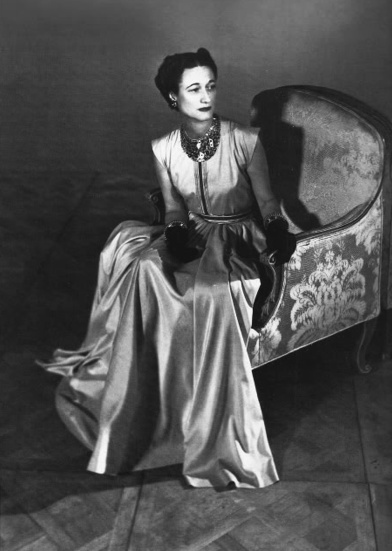 At every event, the svelte, superbly turned out duchess was “tirée à quatre épingles [pulled together with four pins], ”according to the Countess of Rochambeau, a onetime Vogue editor. 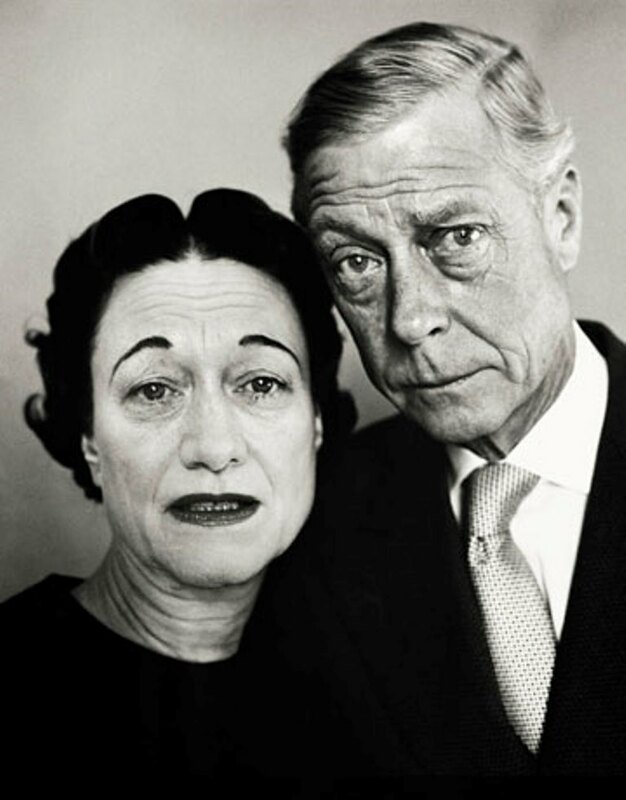 Duke and Duchess Windsor by Richard Avedon, 1957. ← We went on a trip to Tokyo…. 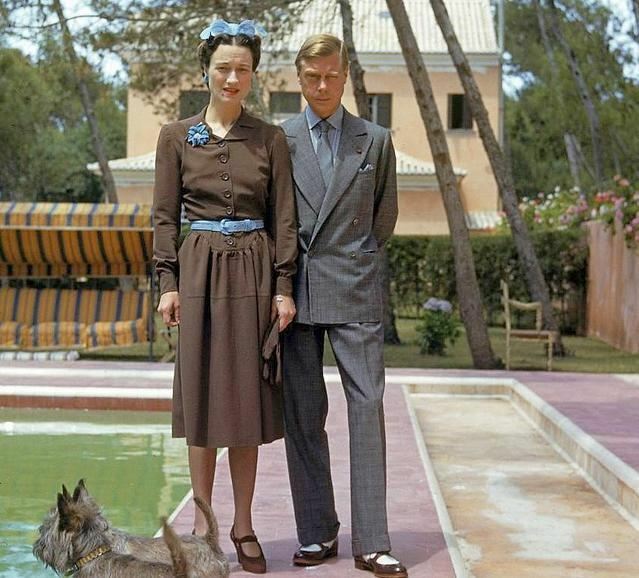 Great pictures in this post but you have his title wrong, he was not a prince after the abdication, he was the Duke of Windsor. 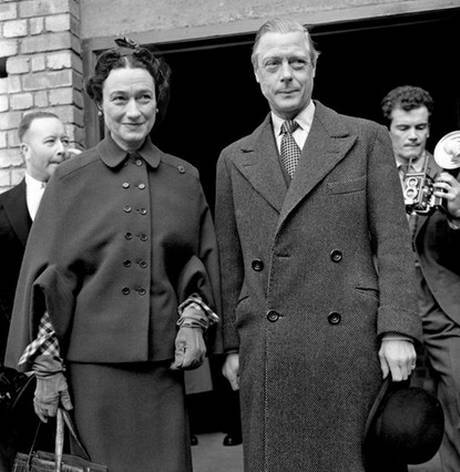 When Wallis met him for the first time he was known as the Prince of Wales, not Prince Edward. Actually, he was a prince. 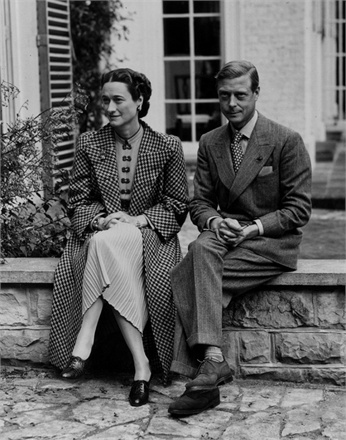 He was His Royal Highness the Duke of Windsor; Prince Edward, to which title he was announced before his abdication speech on the radio. Sorry! For all of his many failings, he was born a prince and died a prince, and no one could take that away from him. 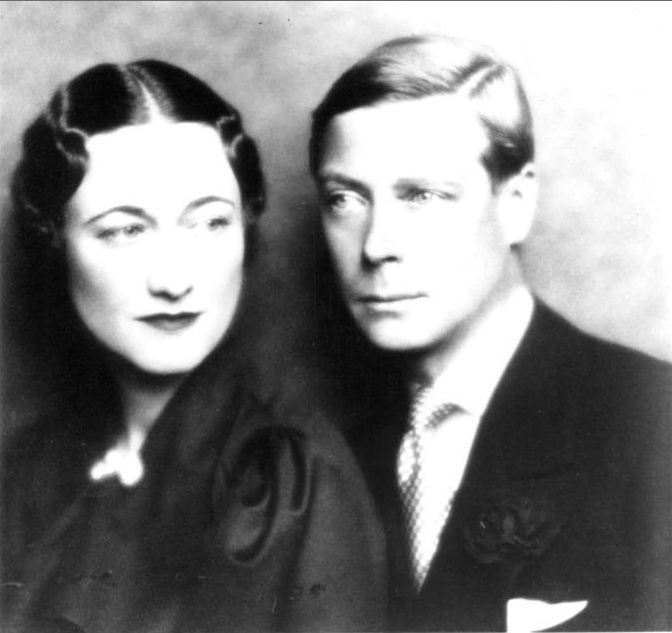 The Duchess’s titles were limited, as she was merely a wife of a royal Duke. The royal family did not give her the HRH. It would have been a better opera than it was in real life. They did not have a lot of money and lived on the kindness (and aspirations) of others in many ways. 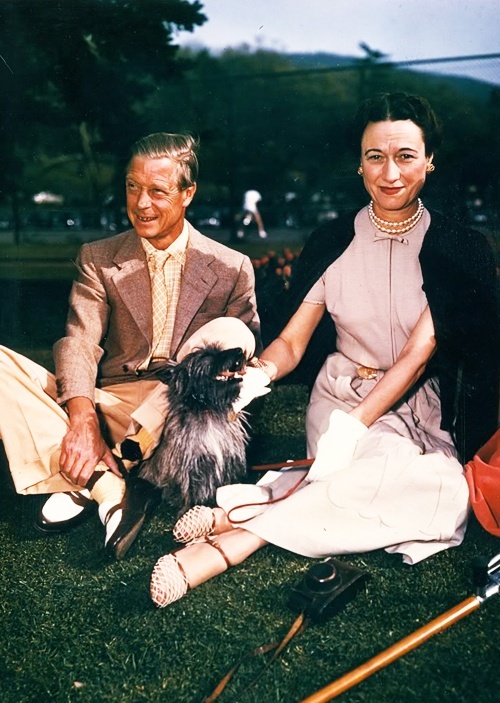 There will never be another Duke of Windsor. 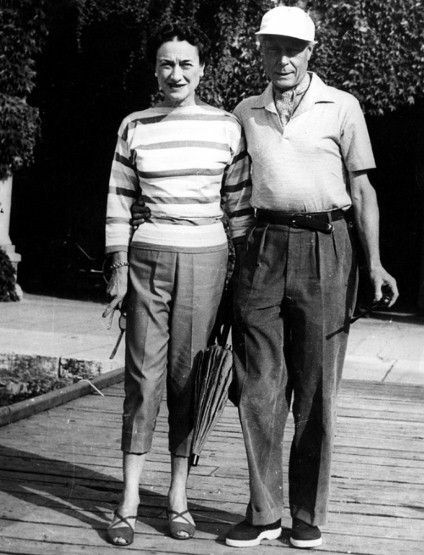 Not really a comment but an enquiry: did Wallis ever ride [horseback] after she took up with the Prince? She could ride well- she rode when at school and was going for lengthy rides when staying at a hotel in Virginia-but is said to have kept away from the fox-hunting set when she was living in Britain, although that didn’t mean she couldn’t have ridden alone or with Edward. It’s odd that there’s little or nothing on Wallis as a horsewoman. Only the documents and secret files,will show the absolute truth,about what really happened.One is for sure.The nations are not governed by the people s preferences,but by the mechanisms of power.The duke of Winsdor,should have, very well known that and he had, to act accordingly.